Gainesville, FL – Annikki Christensen, age 92, of Gainesville, Florida passed away of natural causes on Sunday, October 7, 2018. Born in Huittinen, Finland on September 24, 1926, she married Bent Christensen in Helsinki, Finland in 1958. They had met at M.I.T. as participants in a Fulbright Scholars program. After courting, they married and relocated to Minneapolis, Minnesota for Bent to complete his Ph.D. It was during this time, Annikki gave birth to their son, Ken. They settled in Gainesville in 1963 when Bent accepted a faculty position at the University of Florida. The birth of their daughter, Eva, followed and Gainesville became their permanent home. Growing up in Finland, she and her family felt the devastation of war first-hand. Despite the hardship, she was raised in a progressive household with a father who strongly advocated for women’s equality and was committed to securing an education for his daughters. 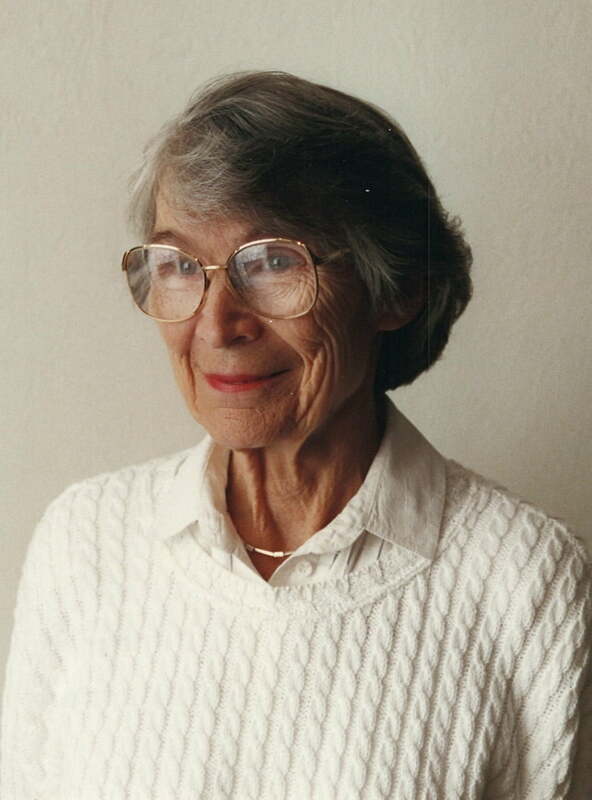 Annikki attended the Helsinki University of Technology in the early 1950’s graduating with the equivalent of a Master’s in Engineering with a specialty in textile production. She subsequently traveled extensively through Switzerland and the United States visiting textile factories and consulting on production. She wrote several texts and reference guides on the subject which she edited and republished through the 1970’s. Ironically, while Annikki loved beautiful fabrics, she did not care to sew or knit. After marrying, Annikki focused her attention on her family and being involved in the community. She joined the University Lutheran Church in 1963, remaining an active member for decades until illness limited her mobility. She was a member of the University Wives Club and the UF Engineering Wives Club. Annikki was active and social. She regularly hosted her friends for their monthly ‘lunch bunch’ and welcomed any new Finn to the area. In many ways, she was the matriarch of the Finnish community in Gainesville. Raising her children meant car pools, swim lessons and weekend picnics to the beach, springs, and local state parks. Then, in 1990, upon the arrival of her first grandchild she fully embraced being a grandmother. Annikki is preceded in death by her husband of 56 years; She is survived by her son Ken, daughter-in-law Loraine, three grandsons Erik, Lukas, and Kurt, and her daughter Eva. The family is very grateful to Grace House of Tampa and to Right at Home for their excellent care and kindness to their mother. They are also extremely appreciative of the many healthcare professionals providing the care and therapy that allowed Annikki to spend her final years in peace. A memorial service will be held on Saturday, October 13th at 11am in the chapel at Forest Meadows Cemetery, 4100 NW 39th Ave, Gainesville, FL 32606. The service will be followed by a blessing at graveside. In lieu of flowers, the family requests donations be made to your charity of choice. It was truly an honor and a pleasure to serve Mrs. Annikki Christensen in her time of need over the last several years. Mrs. Christensen was such a dear sweet lady, and truly a miraculous woman! All of her caregivers loved and cared for her so much. What a pleasure it was getting to know Mrs. Christensen’s family as well. Our thoughts and prayers are with her family and friends and her caregivers.